We’re already halfway through January. Can you believe it? At this time of the year nearly half the country is buried in snow and just praying for the rest of winter to pass quickly. We are certainly no exception here in New Jersey. Eventually when the snow does melt it’ll be time to tackle your muddy yard and equip yourself with a lawn care company that will do right by you. While you may not think it is time yet to think about spring landscaping and lawn care, we would beg to differ. 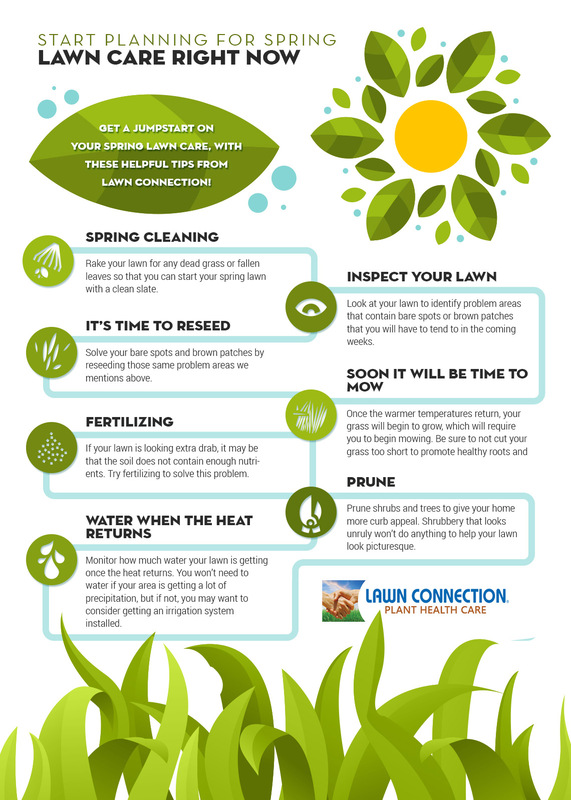 If you want to know how to have the most beautiful lawn this year, check out the 10 tips below brought to you by Lawn Connection. It’s likely that you or your lawn care company tackled all the leaves in your lawn in the fall. If not, you should begin your lawn care this spring with a good raking. This will help remove any of the grass that died during the winter and additionally get rid of any leaves that may have gone rogue after their fellow leaves had fallen. Once all the snow has melted, walk through your lawn and look for bare spots and brown patches that are going to need to be tended to eventually. Also, you may want to take the time to inspect your lawn care equipment. Make sure the blade of your lawn mower hasn’t rusted for example, or that it isn’t dull. Is your sprinkler system working the way it should be? Does your lawn have any damage from the salt that you spread across your sidewalks during the winter months? These are all things to take note of before you hire your lawn care company or begin your own work on your lawn. The next step you’re going to want to take is to reseed any spots in your lawn that have become bare or look like they are dying. Filling these empty spaces with new grass seeds will also help to prevent weeds in the coming summer. Once the weather is warm again and the daily temperature is up to around 50 degrees Fahrenheit, your grass will begin to grow once more. When it gets to a certain length, you are obviously going to have to begin mowing once again. Try not to lower your blade any more than 2 1/2 inches from the ground to begin with. Longer grass means that the roots of your lawn will be able to absorb more nutrients and keep weeds out. When you edge your lawn it makes your curb appeal much better than it would be otherwise. Edging can also make sure that there is an overgrowth hanging over to the sidewalks and that your flower beds aren’t overrun with weeds. Plain and simple, your lawn needs fertilizer if it wants to grow to be lush and green. You can use soil tests to identify what type of fertilizer you should use. While this process may seem complicated it is actually fairly simple and fast. Even though you’ve been doing everything you can to prevent weeds from growing, the reality is that they will absolutely grow at some location or another in your yard. Be sure to get a preventative weed killer and spray it across your yard, as well as keep an eye out for crabgrass. If you want your lawn to look as perfect as can be you’re going to need to trim your shrubs and plants. While they may not be out of control in the spring, they can quickly become unruly if they are not tended to. Once spring is in full swing, you’re going to need to begin watering your grass if you aren’t getting much rain in your area. Your grass needs water to survive. Make sure not to overwater, however. If you are curious how much water you should be giving to your lawn, you can always consult a lawn care professional. 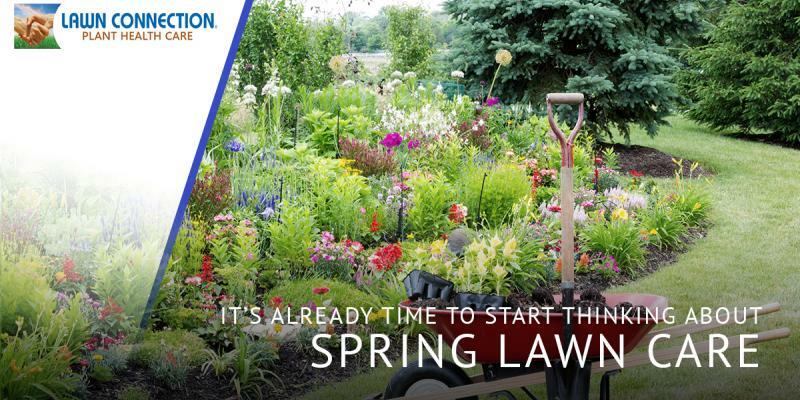 If you truly want your lawn to be successful this spring, you’re going to need the help of the professionals at Lawn Connection. We are New Jersey’s most trusted professional lawn service. Contact us today to get a quote on how much it would cost for us to maintenance your lawn this year.